Christmas is my favorite holiday of the year. Everyone is rushing around to get shopping done, attend parties, put final touches on holiday decorations, and plan holiday meals. 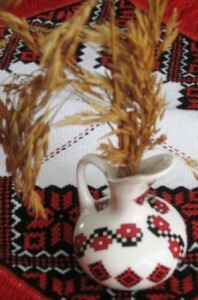 The Ukrainians have many rich traditions associated with the celebration of Christmas. Many of them have been modernized to accommodate everyone’s busy lifestyle, but others are still kept original, and passed on from generation to generation.